When we rode Devinci’s original Django, we couldn’t help but wonder how it would ride with 29-inch wheels. The 27.5-wheeled Django’s playful, spirited demeanor made it a riotous trail rocket, but the combination of little wheels, fairly short travel–120-mil rear and 130 front–and the relatively slack head angle made for a bike that wanted to go fast, but could sometimes get in over its head. 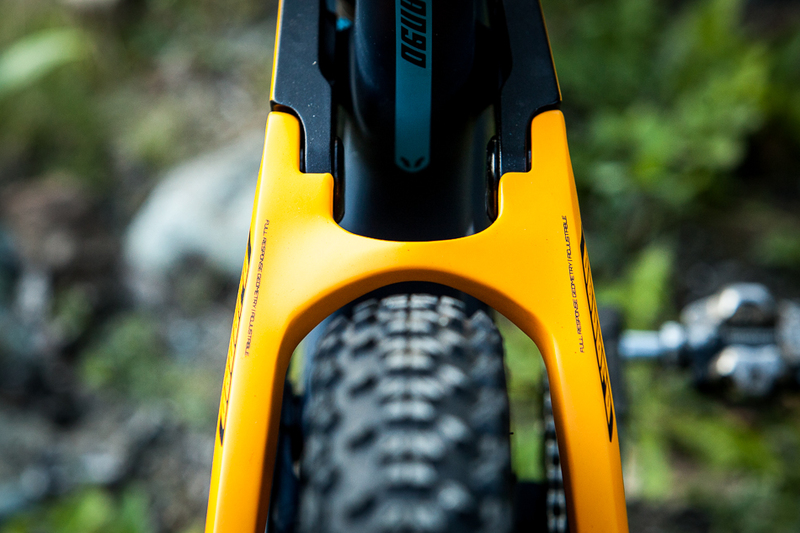 Apparently, the folks at Devinci shared our curiosity for a big-wheeled Django, and today they’re rolling one out. The Django 29’s trail-oriented geometry is adjustable via a flip chip where the seatstays meet the rocker. The Django 29 sports the same 120 millimeters of rear-wheel travel as its smaller-wheeled sibling, delivered by Dave Weagle’s Split Pivot linkage. The Django’s geometry is adjustable via flip chip, moving the head angle between 68 and 68.5 degrees. A 130-millimeter fork comes stock, and the rear end sees 148-mil spacing, which gives the Django room for tires up to 2.35 inches wide. 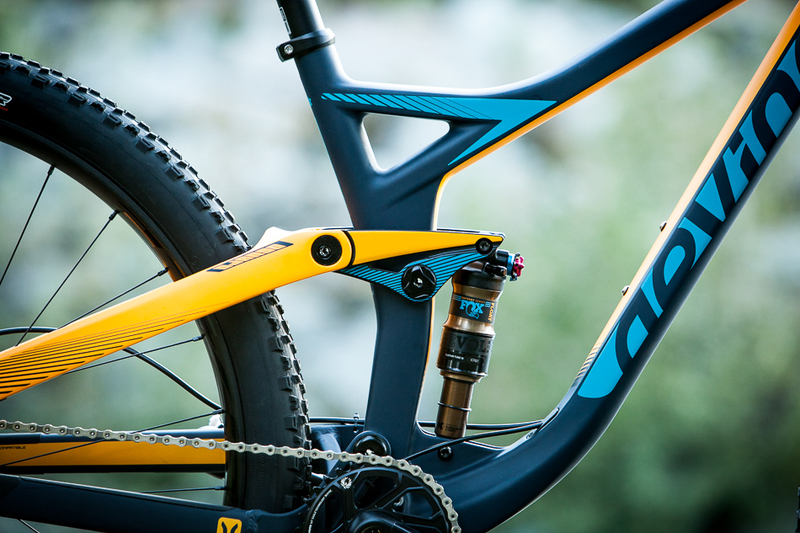 Devinci has steadily been lengthening the reach numbers on its bikes, and the new Django 29 gives plenty of space for body language with a 484-mil reach on the size-large frame in ‘High.’ Cable routing is internal on the carbon frame, and external on the aluminum. Both frames are singe-ring specific. 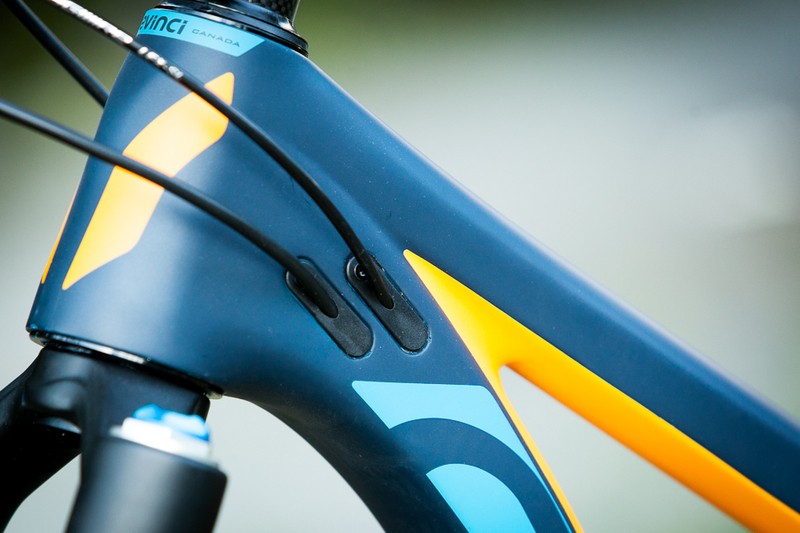 Cable routing is internal on the carbon frame, and external on aluminum. Both frames are single-ring only. Some of the latest 29ers are billed as capable of running plus-size rubber. Not so with the Django 29, which has clearance for up to a 2.35-inch tire. Devinci will offer four carbon builds and six aluminum, with pricing ranging from $3100 to $6820. Alternatively, you can build your own: Framesets are also available for $2480 for carbon and $1770 for aluminum. Look for more on the Django 29 once we’ve gotten some time on the trail with one. Watch Mark Wallace rip around on the Django 29 here.